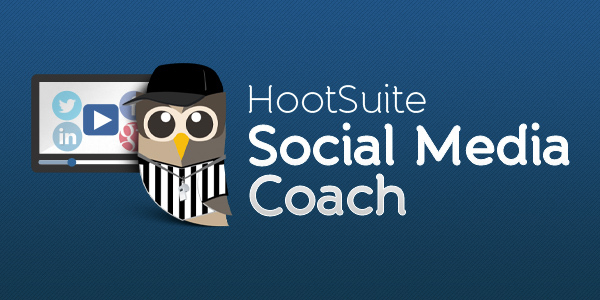 This post was written by HootSuite Social Media Coach, Kristina Cisnero. There are many ways to set up your HootSuite dashboard. One way is dedicating one of your HootSuite tabs to a single social network like Twitter – loading it up with home feed, mentions, direct messages, sent Tweets and favorite Tweets. However, if you’re running a campaign that broadcasts across multiple social networks, you might be better off combining different social networks to help you monitor your campaign, keywords and hashtags related to your campaign. With social networks like Twitter, Facebook, Google+, YouTube, Instagram and Tumblr available in the HootSuite dash – Create and combine different streams to give yourself the best owl’s eye view of your campaign. In this post, we’ll take a look at Monarch Studios – a new Vancouver based music studio, who used HootSuite to manage and monitor the “making of” the studio campaign. 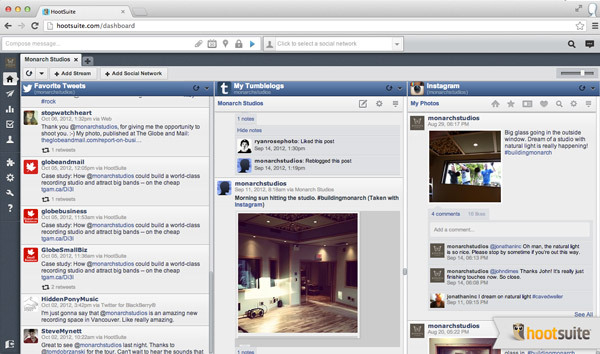 Combine different social networks on one dashboard tab to get an overview of your campaign. Creator, Tom Dobrzanski, used Instagram, Tumblr and Twitter to launch a storytelling campaign about the studio’s construction. By branching out across different social networks, he was able to reach a broader audience. By setting up multiple streams and tabs within your dashboard with different networks and apps, you can set up a strategic dashboard that helps you stay on top of your social media activity. Keep in mind that as your campaigns grow, you can continue to customize, add, move around, and change these as required. Once you have set up your tab, add multiple streams for all the social network profiles you are running your campaign from. These can also include keyword search streams and Twitter lists. Next, install your favorite App and the corresponding streams you would like to monitor. For installation instructions, view this HootTip. Each app listed in the HootSuite App Directory has different stream and plugin options. Experiment with the different stream options available, combine Apps in a tab, and integrate your search results more efficiently. 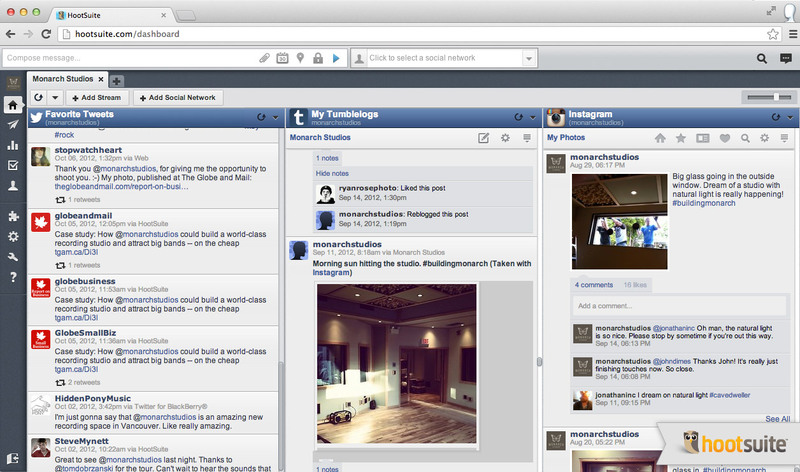 See the full list of apps and social networks available in the HootSuite social media management system.